If you’re missing a tooth or two, you may feel embarrassed to show your smile. After all, it’s one of the first things people notice about you. But what can you do about it? You can replace your missing teeth using one of the advanced options available. Not only is tooth replacement good for your oral health and your appearance, but it will also restore your ability to chew and speak like you used to. It’s worth the time, effort, and money to replace your missing teeth and give you your smile back. What would happen if I don’t replace my missing teeth? Why should I act now to replace my missing teeth? There is no better time to get dental implants or other tooth restoration work than now at the beginning of a new year. Many dental insurances operate according to the calendar year, meaning they reset in January. This fresh start allows patients to take full advantage of their benefits. Contact your dentist to discuss how much of the cost your dental insurance will provide for tooth restoration. When you lose a tooth, you have basically three options to replace it: fixed bridges, removable partial dentures, or dental implants. For fixed bridges, the teeth surrounding the missing one are prepared for a custom-made bridge. Then the crowns are cemented to the surrounding teeth for stability. Removable partial dentures usually have replacement teeth attached to a plastic base that is the same color as your gums. They are held in place by a clasp, giving you the flexibility to remove them for cleaning. Dental implants involve surgically integrating a titanium screw into the missing tooth’s socket. The bone then grows around the screw, securing it in place. Then a prosthetic crown is placed on top. You should discuss these tooth replacement options in depth with your dentist to determine which option is best for you. Natural feeling. Out of the tooth replacement options, dental implants most closely resemble natural tooth structure, giving you a more natural feeling when you bite or speak. Durability. Dental implants are strong and can last for up to 30 years or more with the proper maintenance. Healthy for your mouth. Unlike bridges and dentures, implants help support the gum tissues and jawbone, keeping your oral health strong and your appearance youthful. Independence. Unlike bridges, dental implants do not depend on or affect the surrounding teeth. Stability. Because the implants are fused into the supporting bone and tissue, you can be sure your implant is secure. Self-confidence. You can speak, chew, and smile knowing that your replacement teeth won’t slip or move. 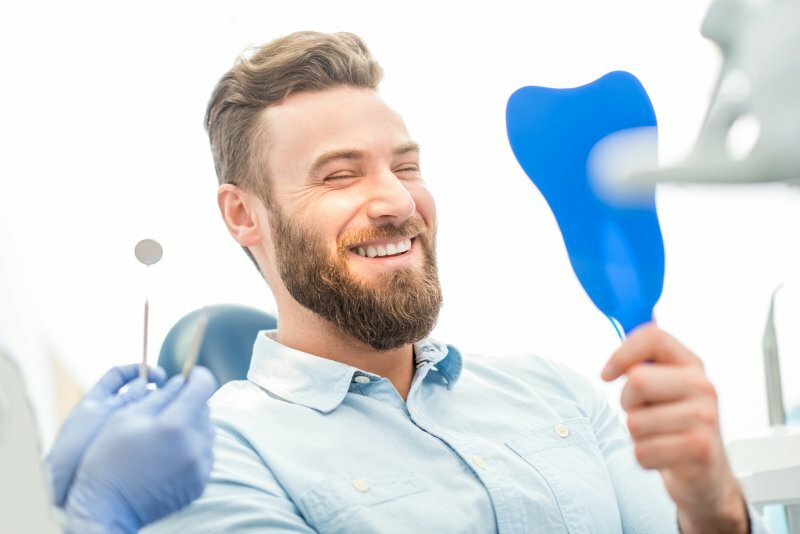 You may have lost a tooth or two, but thanks to the great replacement and restoration options out there, you don’t have to live with gaps in your teeth. Have the confidence to show the world your smile with dental implants. You can start by scheduling an appointment with your dentist to talk about getting tooth replacement in Frisco. Dr. Brett Amedro has advanced training in dental implants, oral surgery, complex crown and bridge, periodontal treatment, and root canal therapy. At Ten Mile Dental, he uses the most up-to-date digital X-ray system, places dental implants, and uses a diode laser to improve his restorative and crown and bridge work. You can contact him by calling (970) 668-1010 or clicking here.